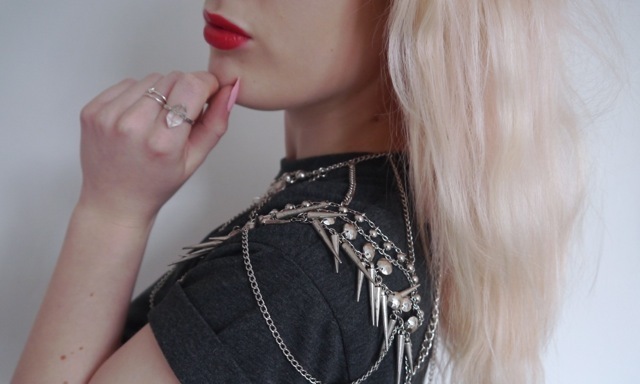 I LOVE MY BODYCHAIN! (AND MY NEW BOOTS!) Oo and my hair is blonde again! First off, don't panic! My hair is only blonde temporarily, I wanted it to get as light as possible before I tested out the Pravana dye in order to be able to review it fully..plus my roots need doing rather badly so I should probably get that seen to beforehand! Annnnyways, this is my go-to outfit at the moment, my mum bought me this bodychain and I love how it turns any t-shirt into a statement piece, I know they're expensive but I honestly think it's worth the money 100%, I've worn mine so many times already. 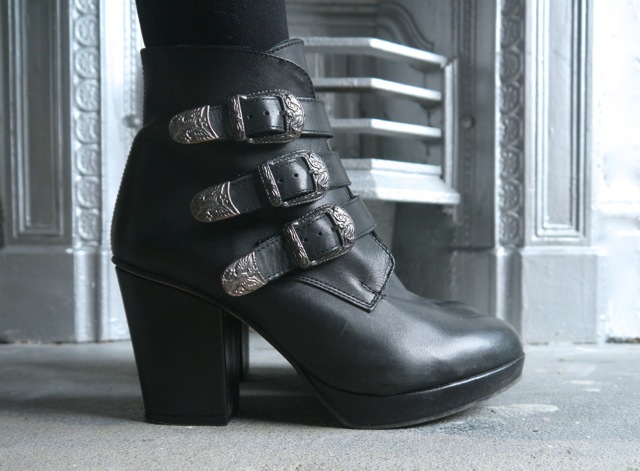 I also am in LOVE with my new boots - my friend Sian bought them a while back and as she only ever wore them once, I bought them off her for half the price; they're super comfy and the buckles look really cool both from the side and the front, these are definitely my new staple black boots. Exam season starts next week so bear with me, I'm trying to shoot outfit posts every weekend so they become a bit more regular! That body chain is so awesome! And I love the boots! Good luck with all the exams! 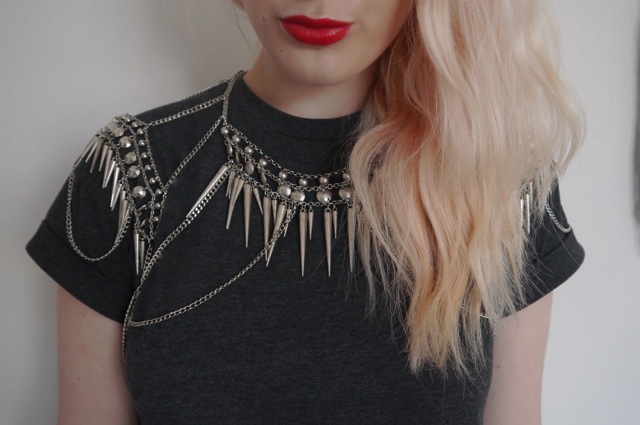 And I loveeee the bodychain it looks amazing with the tee and the lipsticks lovely too! Wow such an awesome look! I love everything on you, you look great! love this outfit! and love your lip color! Huge fan of your style. Great work. 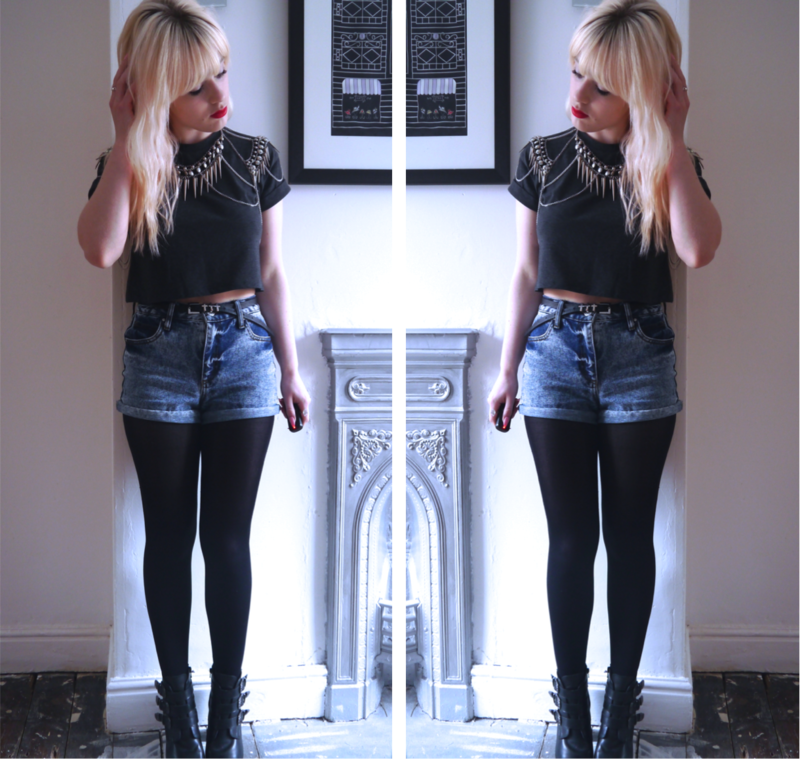 Your top is so cool! You look great!